As we announced last week, we have established a subsidiary in Japan from this spring. Japan probably has the fastest growing automotive industry in the world right now and therefore natural for Stringo to seek a more visible presence in this market. 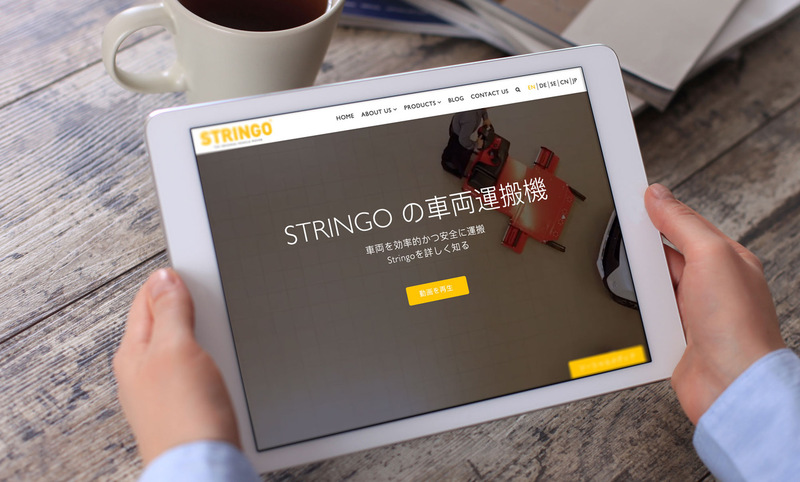 To further increase our accessibility, we are launching the Japanese version of our website, stringo.com. Thanks to close cooperation with customers across the globe, we are gaining an understanding of the challenges faced by our car movers out in the real world, and of the expectations we must fulfill. In Japan It is our view that car movers will play an important role in the development currently taking place when it comes to the automotive industry. Stringo car movers are already being used by numerous car manufacturers in, for example, design centers, end-of-line testing, and various types of test centers. Introducing stringo.jp is one way for us to get closer to our customers there.